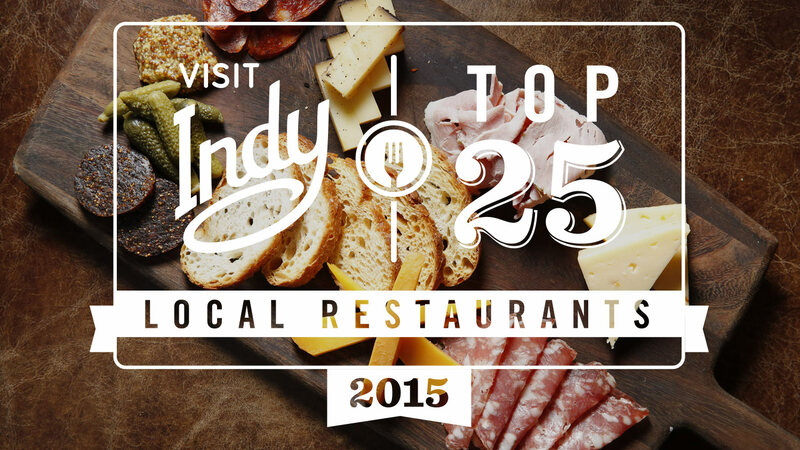 Enjoying an authentic dining experience is an important part of visiting a city, so we asked locals to pick 25 locally-owned restaurants that best represent Indianapolis. 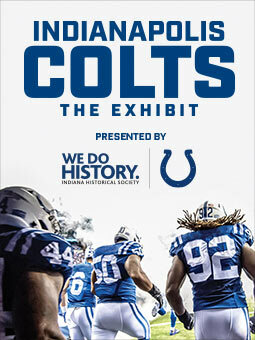 We then asked author of Solid Gold Eats and Indy Star contributor Sara Croft to tell you what makes each unique. 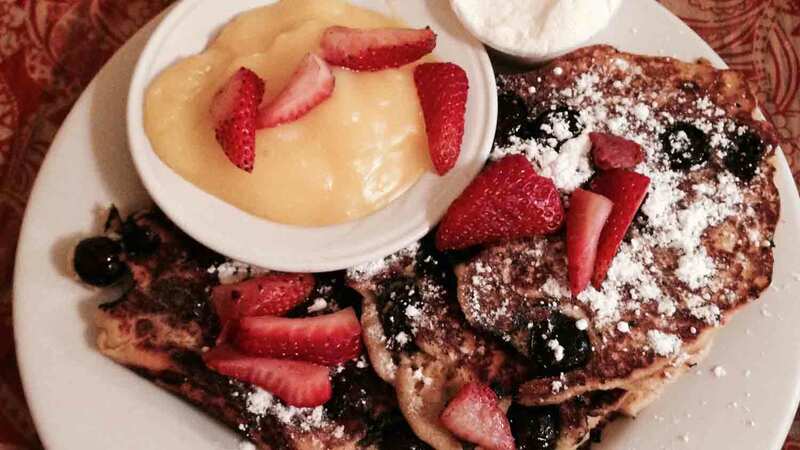 Cafe Patachou, the crown jewel of local restaurateur Martha Hoover’s empire, is everything you think of for a farm fresh breakfast and lunch minus the big red barn and chicken coop. Made-to-order omelets and broken yolk sandwiches are given the utmost attention with multiple ingredients that are anything but boring. Come here for the food but linger for the cozy-yet-modern atmosphere and hot cafe au lait. 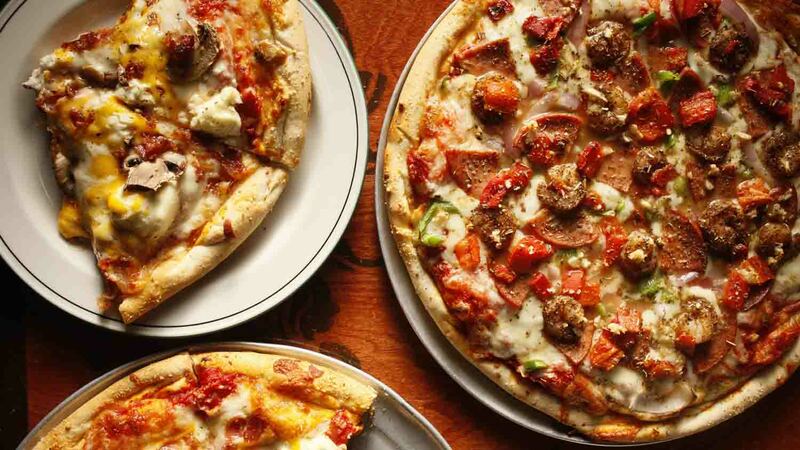 Since 1986, Bazbeaux’s signature thin crust pizzas, distinctive salads, and French bread sandwiches have made their mark in Broad Ripple and newer locations in downtown Indianapolis and Carmel. Traditional fixings such as pepperoni and mushrooms are available, or you can choose from the exotic list of snow pea pods, avocado and BBQ sauce to create your own new favorite treat. Cheeseless pizzas paired with gluten-free or vegan crusts show Bazbeaux’s attention to food allergies and special diets. 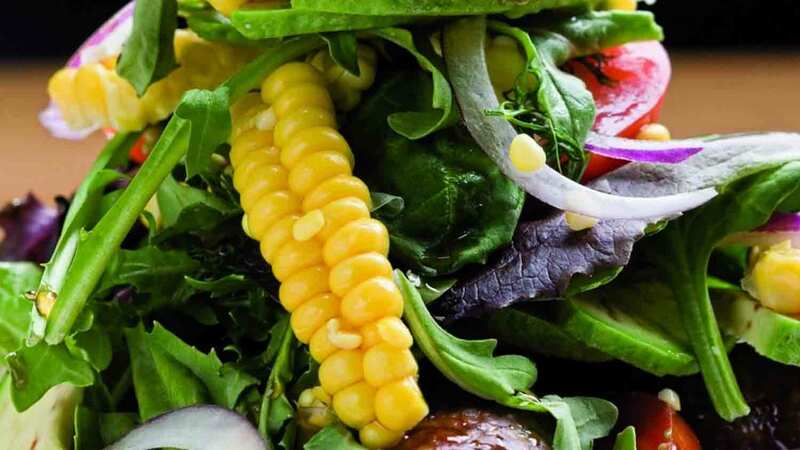 With over two dozen topping options to make everything from a meat lover's pizza to a vegetable-packed delight, Bazbeaux’s offers something for everyone in your family for lunch and dinner. You won’t mind the cash-only policy at Yats when you taste the Cajun and Creole dishes offered at astonishingly affordable prices. Brightly colored interior in the seven Indianapolis locations transports you out of the city and into the New Orleans roots of owner Joe Vuskovich. Whether you’re dining in or carrying out, you can place your order and be served in a matter of minutes. 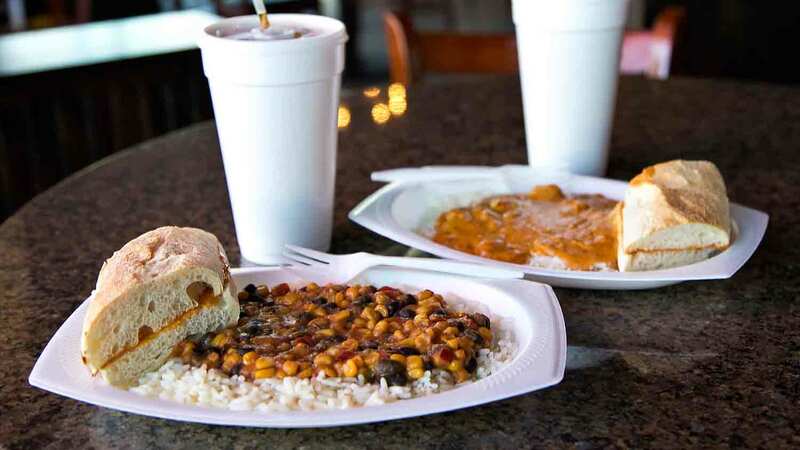 Yats offers several meaty, vegetarian, and vegan classics served over rice and with a side of seasoned bread. Grab one of the dozens of hot sauces available at the counter if you need to bring the heat to your etouffee or red beans and smoked sausage. For a mere 50 cents more, you should always get more bread. You know St. Elmo for their award-winning shrimp cocktail that dates back to the turn of the century, but don’t overlook the rest of the distinctive steak house menu. Named an America's Classic by the James Beard Foundation, prime rib, filet mignon, and king crab macaroni and cheese are classic dishes prepared with the utmost attention to detail. St. Elmo takes pleasure in serving their customers, reminding you of what fine dining really means. 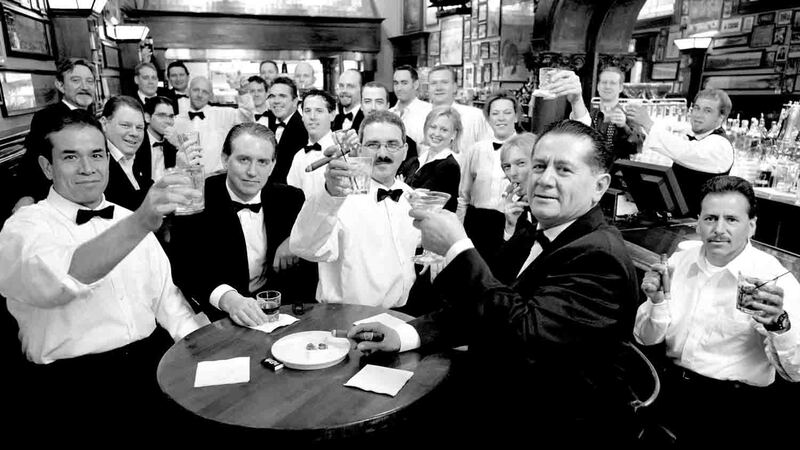 After finishing your rich cheesecake dessert, let the experience of a great dinner linger by heading upstairs to the 1933 Lounge for a signature pre-prohibition-style handcrafted cocktail. Indianapolis’ kosher deli, bakery, and grocery established downtown in 1905 has heritage as rich as the flavors in the food. 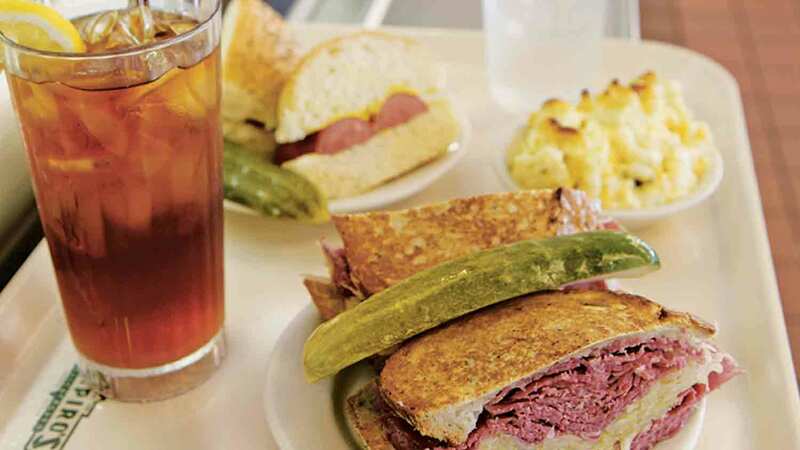 Customers come for the mile-high piled, award-winning corned beef or pastrami on rye bread that, along with sides such as green beans and macaroni and cheese, hot and cold salads, and cheesecake or fruit for dessert, can easily take up multiple cafeteria trays. Warm up on a cold winter day with matzo ball or chicken noodle soup or other traditional Eastern European favorites such as borscht, latkes, or swiss steaks that are prepared from a family recipe that is older than most every customer. 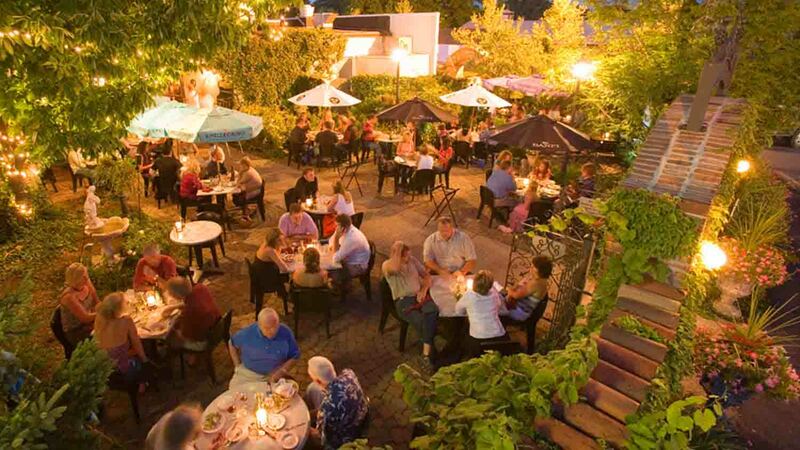 Step off the Monon Trail right into Mama Carolla’s, a stucco home that gives every impression you’ve left Indianapolis for Italy. A long history of family support can be felt throughout the home, especially in the handcrafted bar and serene outdoor dining area. Classic Italian dishes will warm your heart and soul as you dig in to fried calamari, signature lasagna, and mile-high homemade ricotta cake. 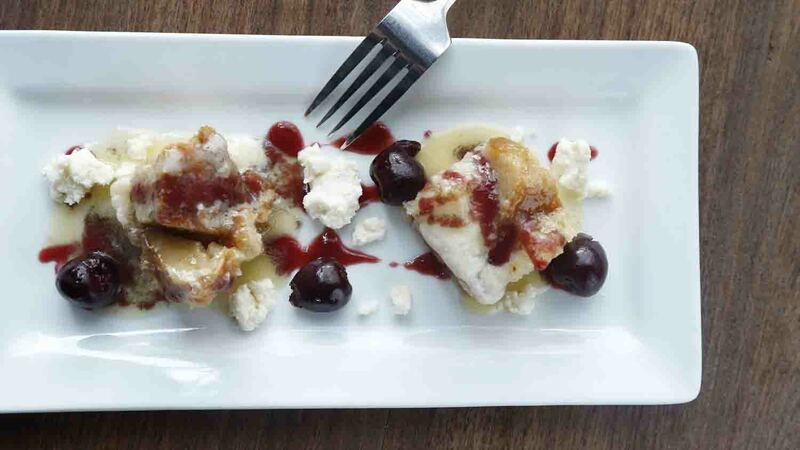 This Kurt Vonnegut-inspired restaurant in the historic Holy Rosary neighborhood offers contemporary American cuisine in a renovated 1924 factory warehouse. Snacks of pickles and olives, charcuterie, and cheeses are meant for sharing before ordering plates based on size. A seasonally changing menu will keep you coming back to try the latest creations from chef Abbi Merriss whose chicken liver pate, scallops and steak frites explain why Bluebeard was rated Best New Restaurant by the James Beard Foundation in 2013. End your meal with a signature house cocktail or updated classic with homemade ginger beer or house-aged liquors. Handmade sausages and salamis are the centerpiece of Goose the Market, a northside neighborhood market that caters to the home cook and on-the-go diner. Stop by for lunch and grab a Batali sandwich or shop for your dinner by selecting one of the dozens of meats and cheeses available behind the counter. 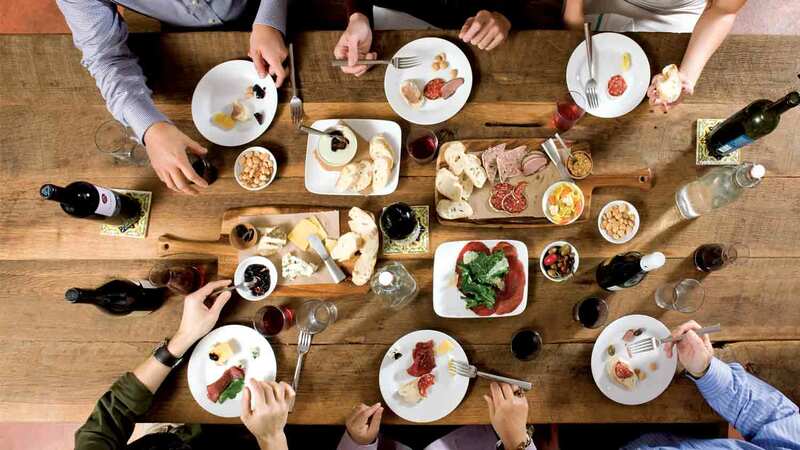 Step down into the Enoteca for a glass of wine or Indiana craft beer while you munch on small plates of rillettes or crudo, allowing yourself to appreciate the many hours and months of careful practice that went into each bite of nationally award-winning charcuterie. 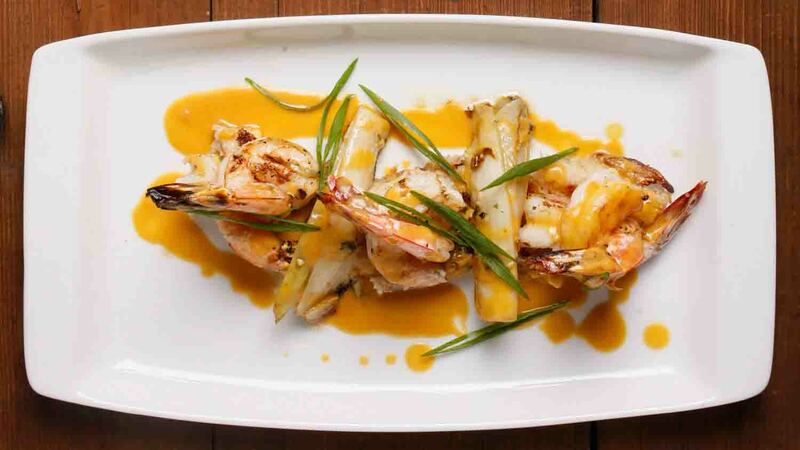 Rustic cuisine gets a modern twist at Mesh, located off the northern end of Massachusetts Avenue. Step into the cozy restaurant where you’ll find yourself nustled into this well-designed restaurant that feels perfect for a party of two or 12. 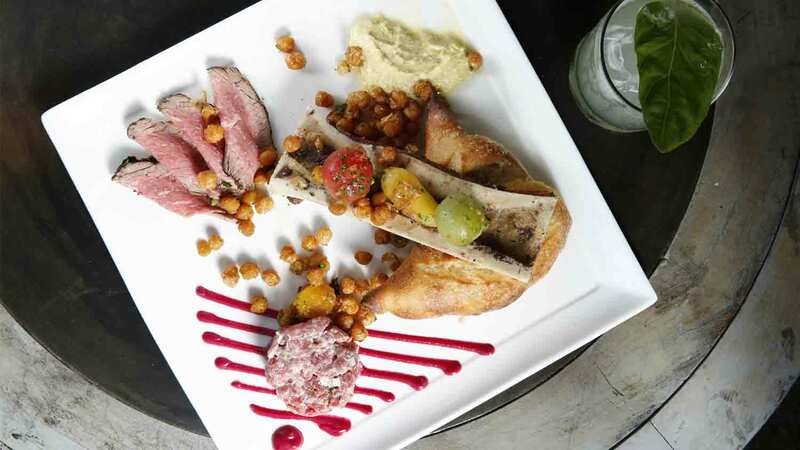 Locally-sourced meats from Fisher Farms and produce from Growing Places Indy among others are featured everywhere from the cheese and meat boards to the lamb shanks. Portions are filling, but don’t skimp the dessert menu where pot de cremes and Graeter’s ice cream are left for you to share. This Broad Ripple eatery puts just as much focus on what comes out of the kitchen as the beer poured straight from their brewery. Pommes frites and mussels are a must, along with sweet and savory crepes that pair well with their Belgian-style beers. Local farms are sourced for their cheeses and meats that make up the various charcuterie boards, perfect for a Sunday afternoon snack or a shared dinner amongst friends. Dine on the deck during warmer months to look out across the Monon Trail while you sip on a sour Pooka or blonde Triple de Ripple. 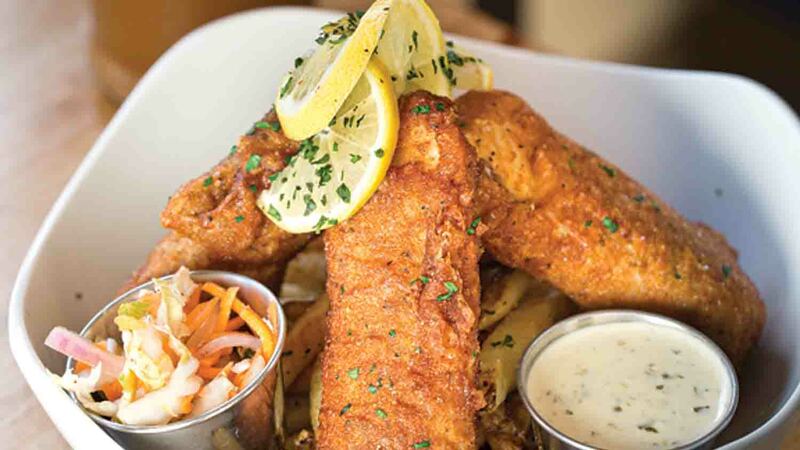 You walked in for a weeknight pint of local beer from one of the 38 taps available, but you will leave with a belly full of fried cheese curds or a juicy burger as you cannot escape the savory smells wafting out of the kitchen. This SoBro stop is becoming a neighborhood bar to grab a beer with friends or dine out with family on a Saturday afternoon. Despite the seven signature beef burgers listed on the menu, Twenty Tap has fish, vegetarian and vegan, turkey and black bean sandwiches that are just as unique and hearty, served with a side of quick-pickled vegetables. 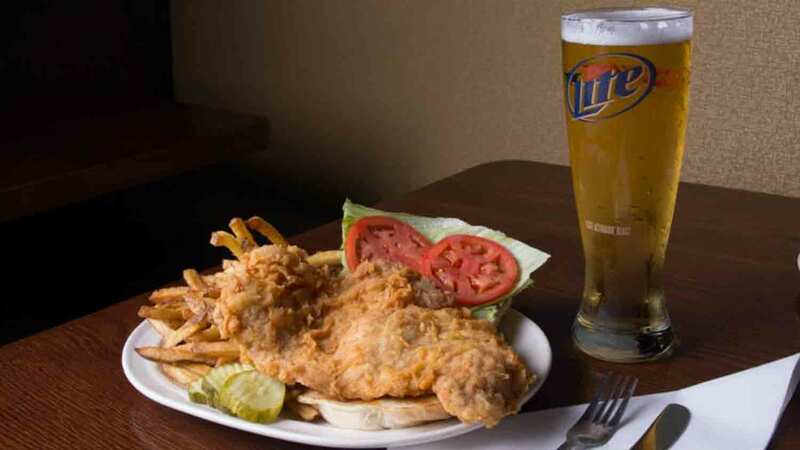 Food meets fun at Scotty’s Brewhouse, a part sports lounge, part family-friendly restaurant located on the northside, downtown and southside. Sip on craft beers brewed in Indiana as well as at Thr3e Wise Men, Scotty’s own brew line. 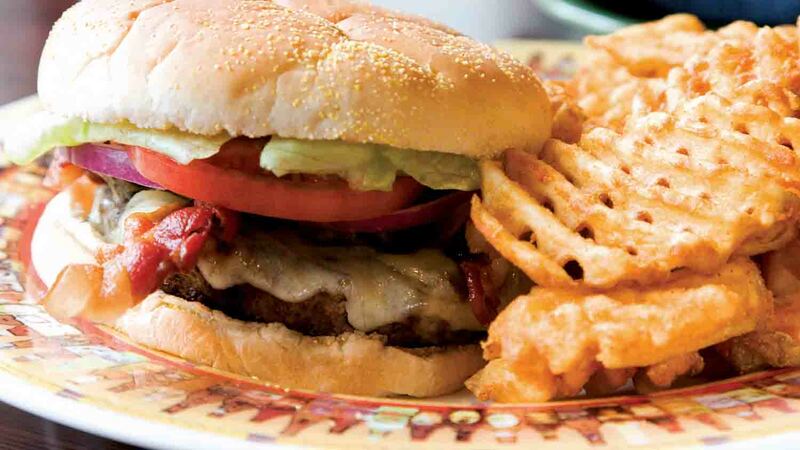 Try a peanut butter and jalapeno burger (the Shewman) with a side of creamy mac and cheese or their well-known fried dill pickles or tidals dip. 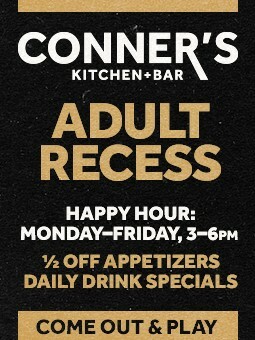 Daily drink and appetizer or entree specials will have you making Scotty’s Brewhouse a routine stop for happy hour, date night, game night, or family night. 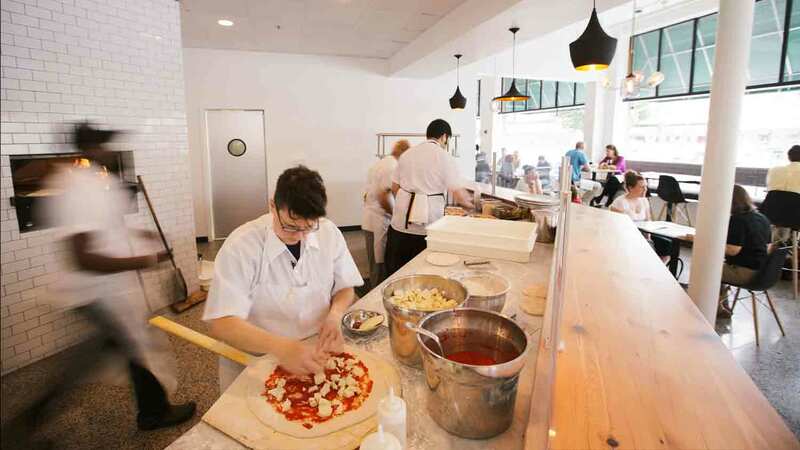 Pizza is so much more than crust and topping choices at Pizzology, where James Beard Semi-Finalist chef Neal Brown is constantly pushing the button to challenge your idea of what pizza is or can be. Start with a warm spinach salad or bowl of mussels and a glass of wine or craft beer before you order the daily special to split with your table or a Pizza Persona that you can build yourself from over two dozen ingredients. With two locations and one in downtown Indianapolis, there’s never a moment when you are too far from the warm hearth of handcrafted, locally sourced pizzas. Step into this Broad Ripple cafe that feels just like home to be served American classics with a vegetarian twist. Known for their lemon corncakes and house-made maple vanilla granola featured on Diners, Drive-Ins and Dives, 3 Sisters Cafe serves breakfast all day with food as eclectic as the visual experience you will step into. Serving breakfast, lunch and dinner, 3 Sisters Cafe will take you back in time to remind you of how simple, good food can mean so much more than just what is put on your plate. Open the door to Siam Square and you’ll instantly be surrounded by smells of lemongrass, coconut, spicy chilies and savory curries that come from authentic Thai cuisine. Dishes can be ordered mild, medium, hot, or Thai hot, depending on how brave you are feeling at that moment. Lunch specials have smaller entree portions and come with two sides and fast service while dinner entrees, such as the drunken noodles or Bangkok fried rice, are larger portions. Don’t skip on the fried bananas or sticky fried rice with hot chrysanthemum tea before you leave this critically-acclaimed Fountain Square restaurant. 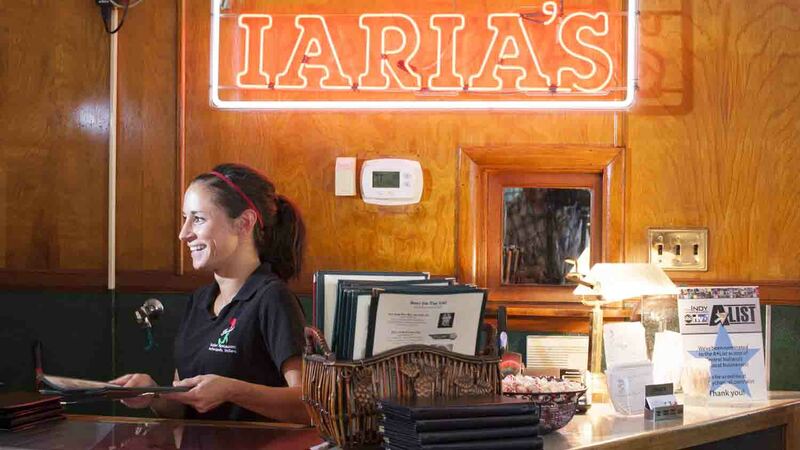 Tradition is everything at downtown Indianapolis’ authentic, family-owned Italian-American restaurant, Iaria’s. Classic entrees and a vintage atmosphere present a feeling like you time traveled to 1933 when they first opened. While known for their large spaghetti and meatballs dish and mile-high lasagna, don’t pass up the newer thin crust pizza option available in the restaurant or for carry out. If you are craving tacos but want more than a hard shell and ground beef, head over to Delicia’s for modern Latin American cuisine. This newer dinner-only SoBro spot has a contemporary vibe with elegant entrees to match, like Serrano Scallops or Ancho Peach Pork or the house-made guacamole with pistachios. You won’t be judged if you only order the Fire N Ice cocktail with vanilla caramel flan, offered as the “cake” to any birthday celebration happening in the restaurant. If you are hungry for lunch, side step to La Mulita for lunch-sized portions, or grab a cocktail and dinner starter as you wait for a table in the evening. Serving Indianapolis since 1986 through 10 locations across the city, Sahm’s is the comfortable neighborhood restaurant where you feel like part of the family. 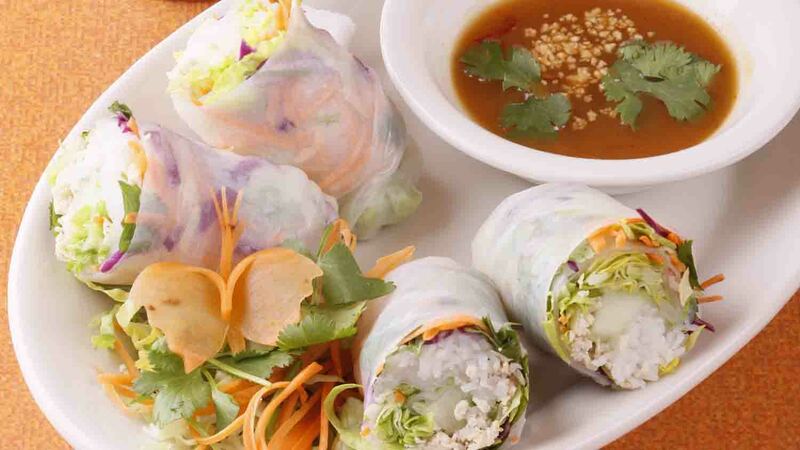 Several signature menu options are available at every Sahm’s, but each restaurant has a distinctive focus. 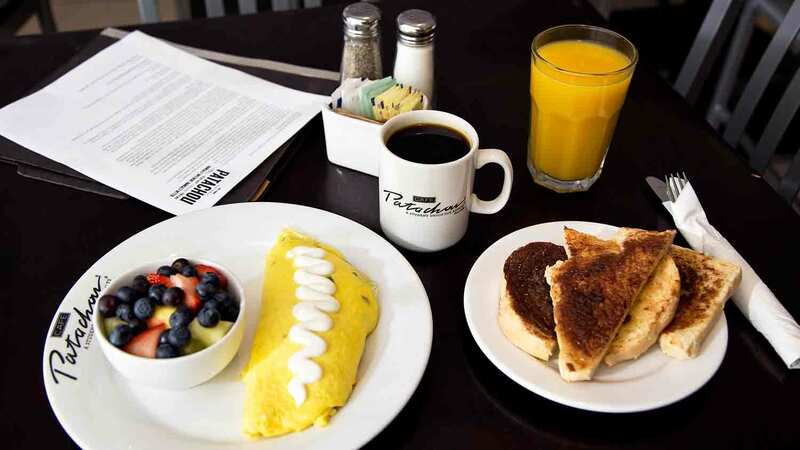 Start your morning off right with a Smoking Goose omelet at The Roost in Fishers, stop by the downtown tavern for a slice of Grandma Grace’s meatloaf at lunch, and end it with a local craft beer from one of 15 tap lines at Sahm’s Place on Keystone Avenue. 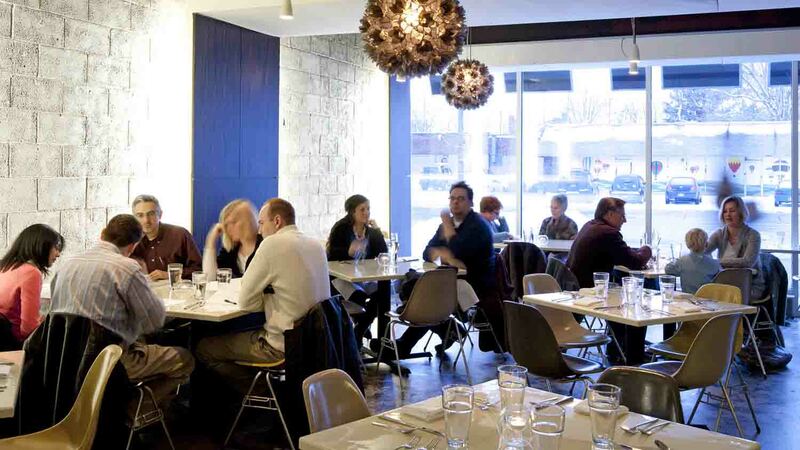 A commitment to serving great food to Indianapolis at a modest price makes every Sahm’s location perfect for everything from family dinners to date nights and game nights. One of the newest restaurants and bars to make a scene in downtown Indianapolis is Union 50, where tall shelves of liquor bottles showcased at the bar symbolize the lengthy menu of available cocktails, whiskeys, wines, and brews. The fusion of modern plates with a bar atmosphere makes Union 50 appealing to many - where else can you brush up on your shuffleboard and skeeball skills while you eat kimchi meatloaf and pastrami poutine? Live music five nights a week makes this neighborhood establishment one for everything from a weeknight dinner to celebrating special occasions with large groups of friends. When the owners of what was to become Shoefly Public House moved into their Fall Creek Place neighborhood, they noticed the lack of dining options and decided to transform the historic Crescent Pharmacy building on 22nd Street into the restaurant that stands today. There is nothing historic about the modern menu that aims to please vegetarians and carnivores in the same two-page spread. Changing with the seasons, Shoefly Public House has something for everyone with pretzel flatbreads, chicory salad, smoked short rib sandwiches, and duck wings, all of which should be ordered with a side of homemade yucca fries and finished with a sliced of griddled Mexican pound cake. 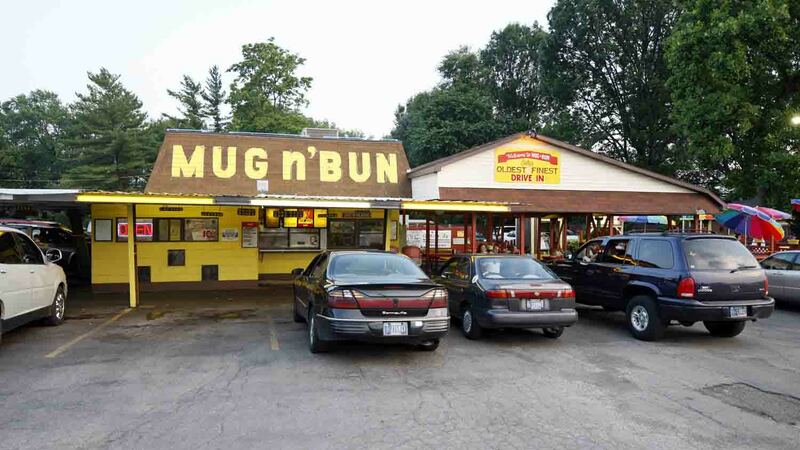 Serving the west side of Indianapolis since 1960s, Mug N' Bun is one of the few operating drive-ins left in the city. Order your pork tenderloins, super burgers, corn dogs, onion rings and catfish dinners from the retro menu board or park your car and turn on the headlights to signal a server to greet you at your window. Finish off your meal with a chocolate shake or take home a half or full gallon of homemade root beer to savor your experience later. You cannot order a meal at this contemporary SoBro cafe without a side of pommes frites, tossed with salt and fresh herbs and served with a side of basil aioli. Taste takes simple dishes and heightens them with unique twists like their pear and roquefort salad or chilled asparagus sandwich. Order a farm fresh signature omelet for breakfast, a gourmet sandwich for lunch, and stop by for dinner (available exclusively on Wednesday and Thursday evenings) for fresh, local beer, snacks, and main dishes catered to vegetarians and meat eaters alike. Late night snacks and cocktails can be found at Eat+Drink, the newest innovation from the owners, located right next door. If you have ever made your own tamales at home, you understand the amount of time and skill that goes into making masa and stuffing dozens of corn husks. The Tamale Place does the hard work for you and serves slow cooked chicken, beef or pork with green and red sauces full of intense flavors that come only from hundreds of years of culture and practice. Modest pricing of tamales, tacos, and sliders allows you to try several mild and spicy varieties at once. Located on the westside, Greenwood and now City Market, The Tamale Place brings a much-needed cuisine to Indianapolis. Travel to the north edge of Indianapolis to find a restaurant tucked away in what feels like rural landscapes of the midwest. 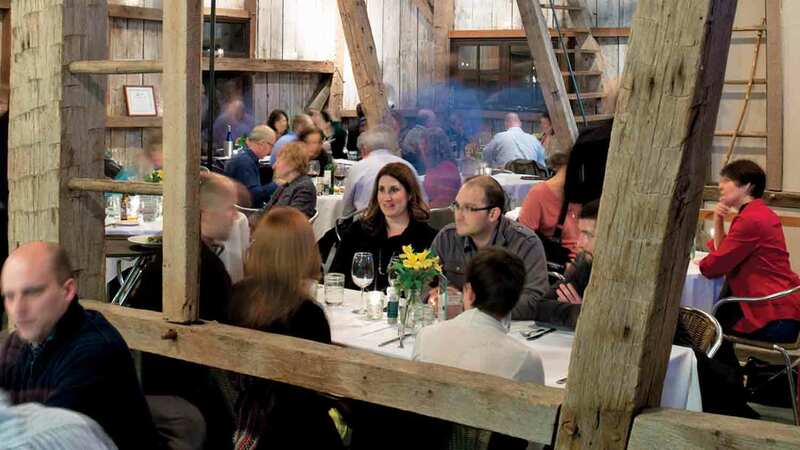 With eggs picked from the barn and walked to the kitchen, and from cows milked only a few yards away, you cannot get closer to your food than at The Loft. The farm focused menu is simple, allowing ingredients to speak for themselves, bridging the gap between farm and fork. Sunday brunches of steak and eggs or Chilaquiles Verdes to farm cheeseburgers and charcuterie boards are snippets of the seasonally focused menu that reminds you of the pleasures of living off Indiana soil. Offering a nightly changing four-course tasting menue where truffles and high-end cuts of meat are staples, acclaimed chef Greg Hardesty and his team at Recess aim to make every dining experience unique. 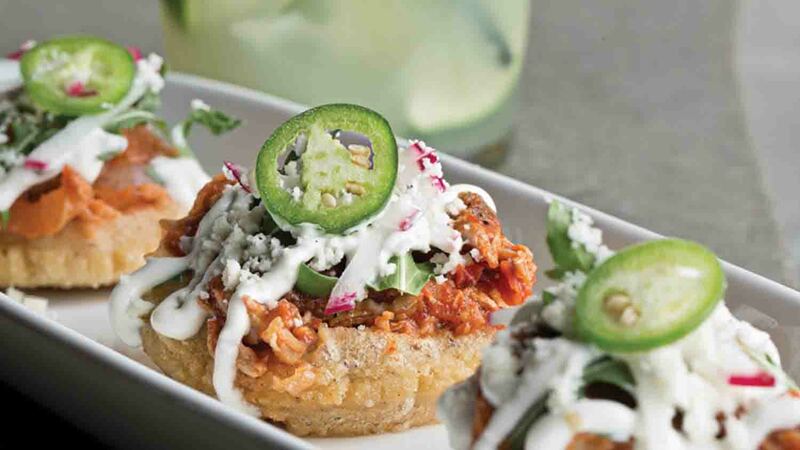 There are no culinary boundaries for Recess or its casual neighboring restaurant, Room Four, which takes the essence of Recess and infuses it into tacos, burgers, and appetizers.